The government is doubling the funding that primary schools receive to improve the quality of their PE and sport provision from £160 million to £320 million a year in 2017-2018. For Cheadle Primary School, our sports premium will increase to £18,210. The PE and Sport Premium is part of a series of programmes led by the government to improve healthy lifestyles among pupils and tackle childhood obesity. Physical activity and sport can have a positive impact on pupils’ behaviour, attendance, concentration and attainment, helping children to reach their potential. 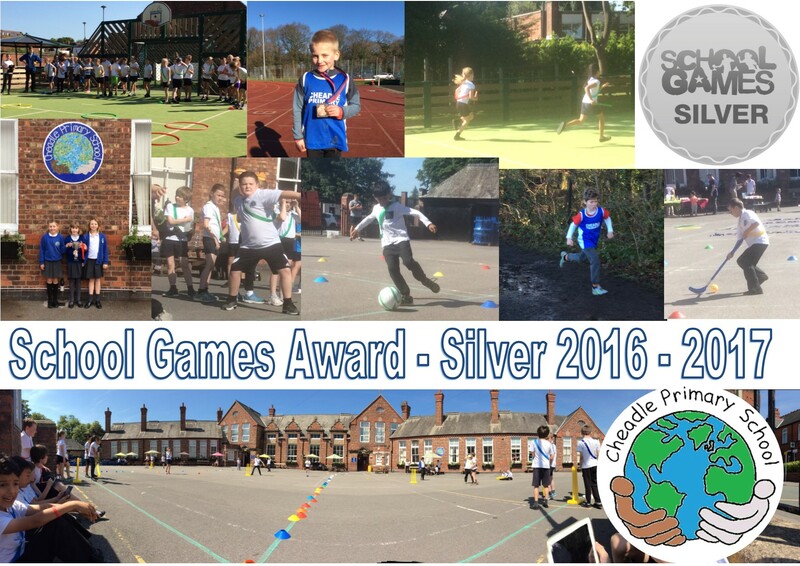 Congratulations to everyone on our award of School Games Silver Mark for our work in 2016-2017 – we are very proud of all your sporting success!